With just over a week to go till Borderlands 2 releases on all three platforms, many folks simply can't get enough news of the action/rpg. 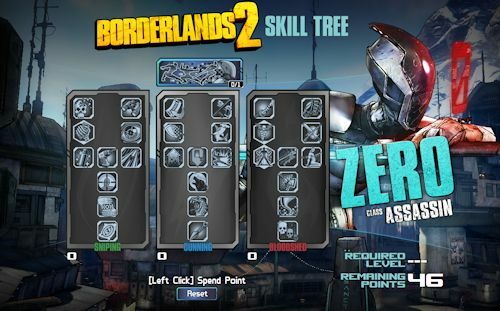 To help satiate fans desires, Gearbox has put up skill tree calculators for the four classes. Using it you can plan out just what abilities you want your character(s) to have when the game launches. Of course on the co-op front, this could be a great time to get the group together and plan out just how you'll support each other. While the site is pretty limited right now in features, there are plans to add the ability to share builds with friends, as well as several other bells and whistles. Which character class are you going to plan out first?